After reading two articles on the Connecticut post last night,I have decided I can no longer hold my peace. The first article read “The great divide”. It revealed the wealthiest and poorest communities across Southwestern C.T. The wealthiest community was in the 06883 area. The poorest was 06608. The second article spoke about the amount of fees charged to citizens for tows that occurred during our lovely snow storm. A total of $74,000. The article never informed us which areas had the highest amounts of cars towed. I had to mention that in all fairness. I do know that on my block alone a total of 5 families returned home after walking to work to find their cars had been towed. Around the corner from my home there were another 4 cars towed. The sad part is that this happened in the 06608 area. The poorest community in Southwestern C.T. 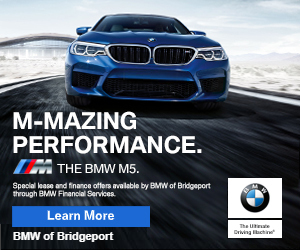 That is Bridgeport Connecticut! I don’t know about the rest of Bridgeport residents,but I am completely appauled at the level of disrespect bestowed upon the less fortunate citizens of our city. The City of Bridgeport,along with our wonderful Mayor Bill Finch have,in my opinion, failed us. They should be ashamed. Just the view of one local,employed resident of Bridgeport.